Enjoy the top 3 famous quotes, sayings and quotations by William M. Bass. I seemed to feel my religious faith die, too. We're organisms; we're conceived, we're born, we live, we die, and we decay. 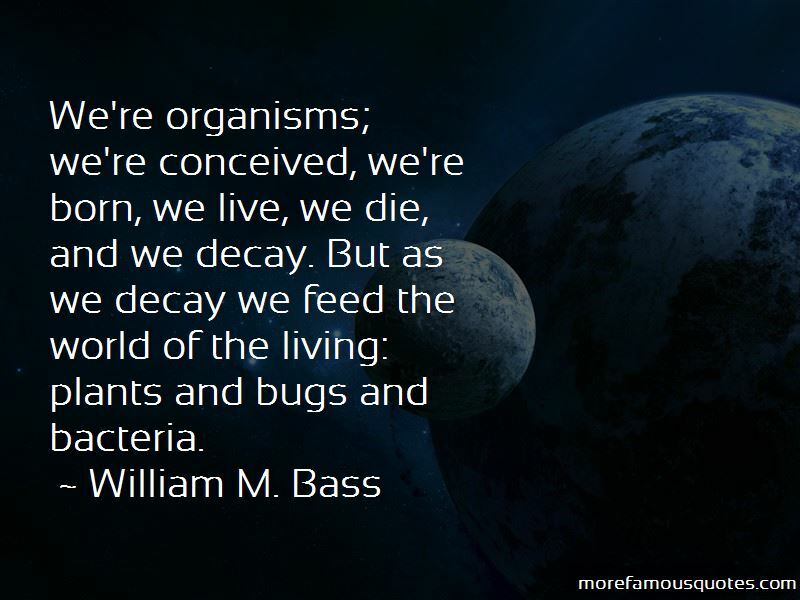 But as we decay we feed the world of the living: plants and bugs and bacteria. 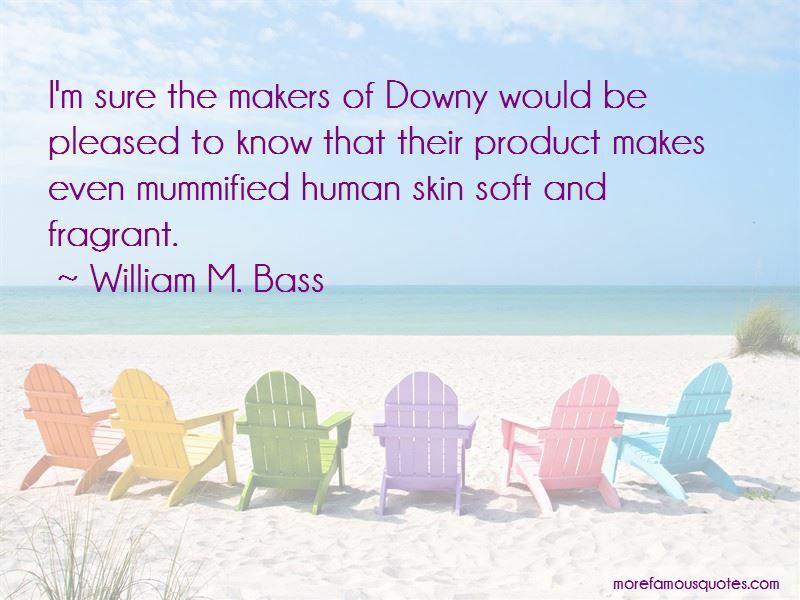 Want to see more pictures of William M. Bass quotes? 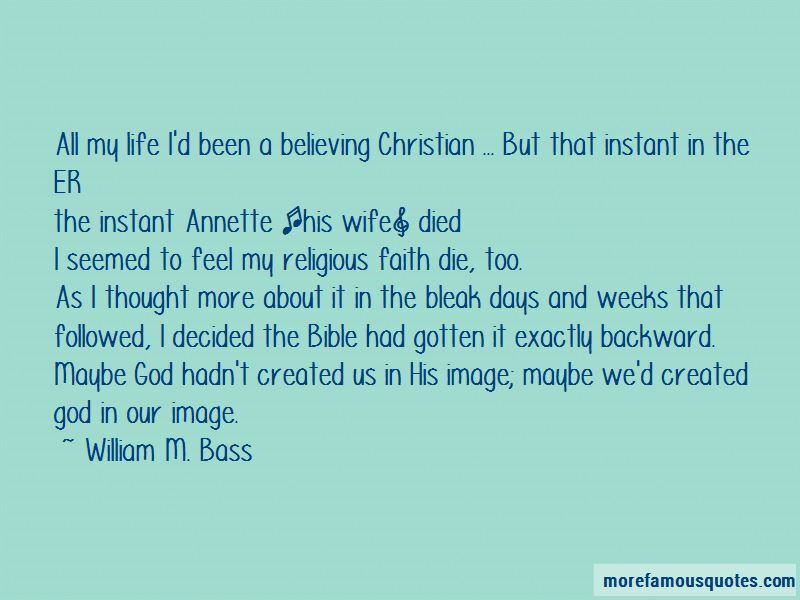 Click on image of William M. Bass quotes to view full size.